Horner Park has been selected as one of the recipients of a new Chicago Plays! playground to be completed by 2017. Mayor Emanuel’s Chicago Plays! playground renovation program was launched in the spring of 2013 by the Mayor, who announced that over the next five years, the Chicago Park District will rebuild, repair and/or refurbish 300 playgrounds in communities across Chicago. Horner Park will be rehabilitated through this program. Help us choose the best option for our park! There are 4 options to choose from. Please click through to review the options and respond to our survey. We appreciate your response by 5:00 pm Monday, Feb. 1. 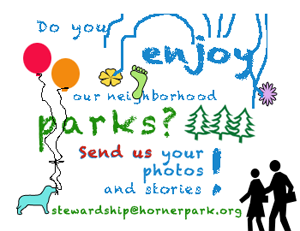 THANK YOU for your interest in the future of the Horner Park playground!